* Check items needed board in the JMCA front office. Parental involvement is a leading indicator of student success and an essential part of the JMCA learning community. JMCA recognizes and appreciates the volunteer services provided by the members of our community. 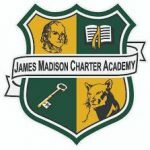 Families of children who attend JMCA shall be required to volunteer 30 hours of their time to JMCA during the school year. Parents are responsible for completing your family log sheet at the front office each time you complete a volunteer task. Those who volunteer in the building or on field trips are requested not to bring younger siblings due to disruption and dividing the parent’s focus between “duties”. Volunteer Opportunities will be posted throughout the school year. 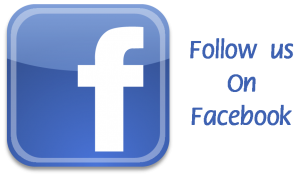 Be sure to bookmark this page to keep abreast of the many items listed. Parents must schedule volunteer opportunities at least 24 hours in advance. 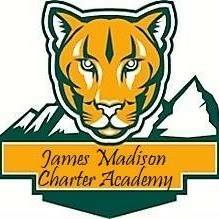 Parents who are also employees of JMCA may not log volunteer hours during lunch/break time. Volunteer opportunities are based on building needs. All volunteer requirements must be met by the end of the school year as a criterion for re-enrollment. Volunteer hours may not be carried over to the next year, unless approved by administration. Volunteer hours may not be shared with other families. Volunteer hours may not be accumulated by siblings, under 18 years of age, of JMCA students. Volunteer hours may be purchased with cash at a rate of $10 per hour. Participation in BACC or PTO meetings (1 hour maximum per meeting) up to 7 hours per year. Attendance at Board of Directors meetings (1 hour maximum per meeting) up to 7 hours per year. Weekend activities at JMCA (ground keeping, inventory, maintenance, other needs as required). Assisting with preparation of classroom materials at home. Carpooling to and/or from school with other families. Other activities with administration approval. Working in the library (book check out and return, shelving books). Supervision of lunch and lunch recess. Creating displays or taking down displays of student work. Clerical assistance (filing, answering the telephone). Person to coordinate “Share a Ride” program. The person will research addresses of families needing help getting to/from school with addresses of families wishing to help. ***It is the parents responsibility to log their volunteer hours in the log book located in the front office. Do not expect your child’s teacher to log your hours.